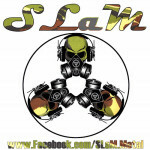 SLaM is an Award Winning Instru(mental) Metal Band from South Wales in the UK. The 5th E.P. Selection was released on 3rd March 2018.